The now-classic Chinese retelling of Little Red Riding Hood, and one of the most celebrated picture books of our time. Caldecott medalist Ed Young was born in Tientsin, China, and brought up in Shanghai. He cites the philosophy of Chinese painting as an inspiration for much of his work. "A Chinese painting is often accompanied by words," he explains; "they are complementary. There are things that words do that pictures never can, and likewise, there are images that words can never describe." Mr. Young has been illustrating children's books for more than twenty years and has won many awards. 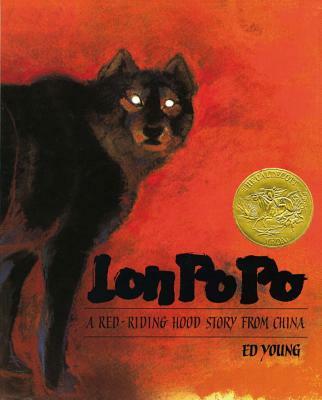 He received the 1990 Caldecott Medal for his book Lon Po Po, and his much-lauded collaboration with anthologist Nancy Larrick, Cats Are Cats, was named one of the Ten Best Illustrated Books of 1988 by The New York Times. Mr. Young studied at the University of Illinois, the Art Center of Los Angeles, and Pratt Institute in New York City. He and his family live in Hastings-on-Hudson, New York. copyright 2000 by Penguin Putnam Books for Young Readers. All rights reserved.